What was better than the Super Bowl? Halftime Heat and The Marshmello Fortnite Concert. 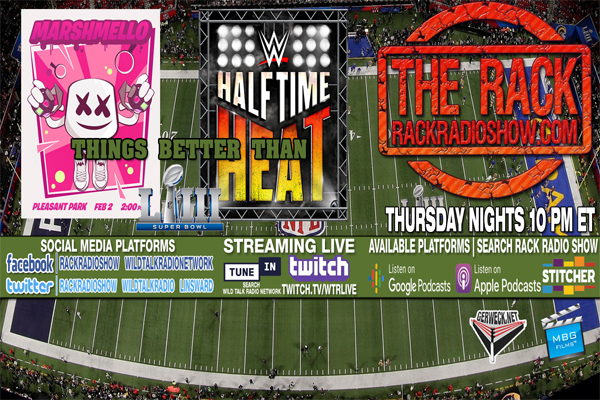 We talked about both events and tell you why they were better than the Super Bowl. We also gave you the Smackdown Throwdown featuring Becky Lynch and Triple H confrontation, along with the NXT Rundown.